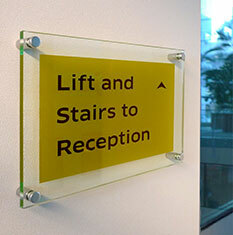 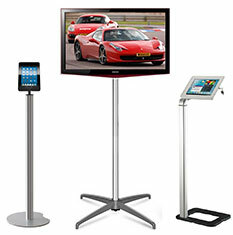 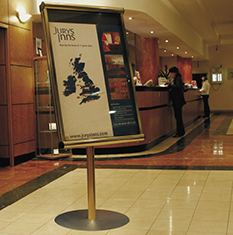 Extend your hotel branding with our range of displays and signage solutions designed to cater for hotels of any size. 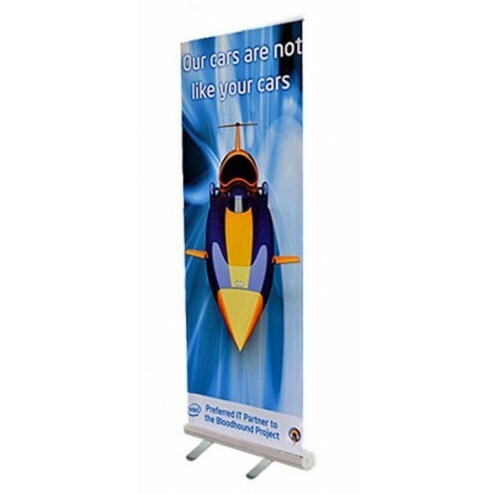 Including custom printed wallpaper, rope barriers, canvas prints, lightboxes and multimedia displays, we have everything you need to give your guests the information they need during their stay. 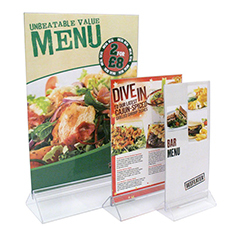 If you need advice on buying displays or custom print for your hotel please contact our sales team on 0844 800 1020 today. 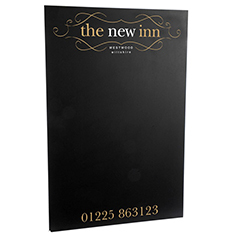 Extend your hotel marketing and branding with our range of display and signage solutions designed to cater for hotels of any size. 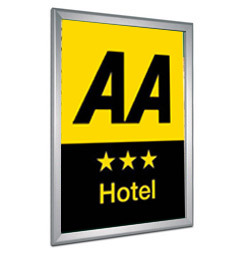 Our high quality hotel signs and displays provide everything you need to attract new customers to your business, and give your guests the information they need during their stay. 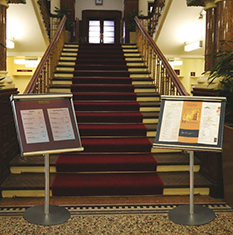 Create the right atmosphere in your reception area with our display stands and foyer signs, which are ideal for guiding guests around your premises. 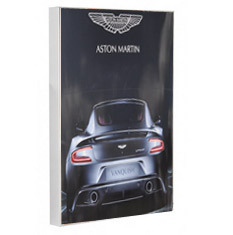 Perfect for displaying custom printed graphics, our stands are supplied with a choice of standard felt pin board, cork board or MDF covered felt groove board. 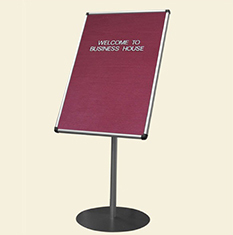 Freestanding letter boards are a great way to pass on welcome messages for groups, and for changing daily meeting room signage. 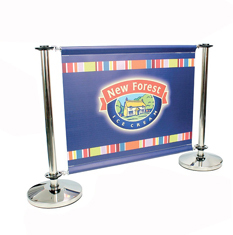 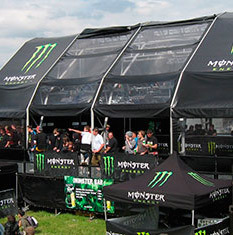 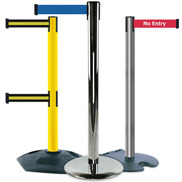 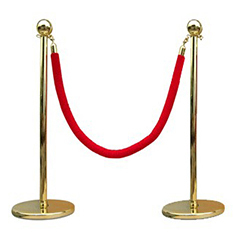 Banner stands are a portable and effective choice for displaying corporate branding or marketing messages and are lightweight enough to move around the building easily, and our rope and post or retractable barriers are a welcome addition to busy reception desks. 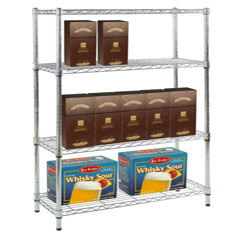 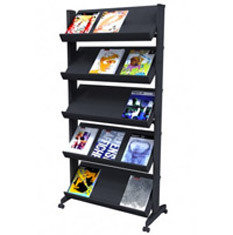 Literature display racks keep leaflets and brochures tidy and organised, and are ideal for displaying newspapers, magazines of local attraction information to browsing guests in the foyer while keeping the surfaces uncluttered. 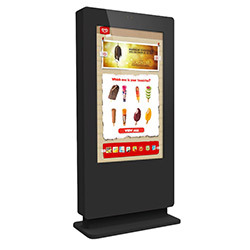 For a modern approach to local information, our digital signage, lightboxes and multi-media displays can be used for eye catching branded marketing and interactive guidance. 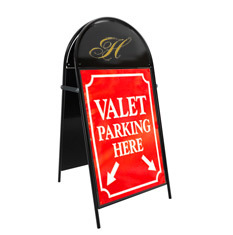 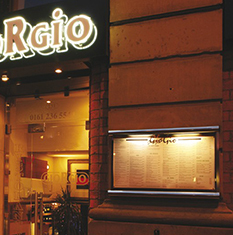 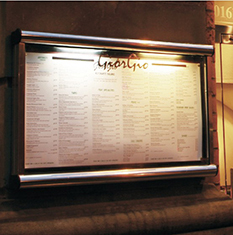 Simple pavement signs are available as either a portable short term display solution, or with water filled bases for more permanent use, and are a cost effective way of increasing footfall, particularly to bars and restaurants. 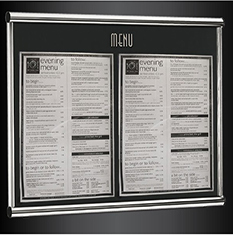 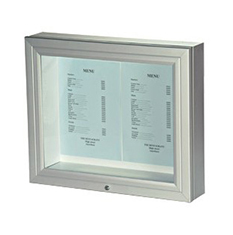 We have a wide range of menu display options, from simple wipe clean chalk boards to wall mounted menu frames for both internal and external use, and illuminated menu cases. 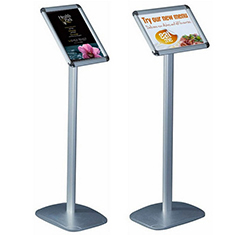 Our acrylic table-top menu holders are ideal for displaying bar, café, room service or restaurant options. 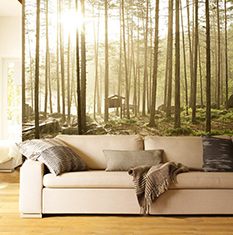 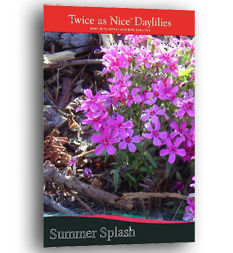 Custom printed wallpapers, canvases and posters are all produced in house using the highest quality materials for a unique and professional finish. 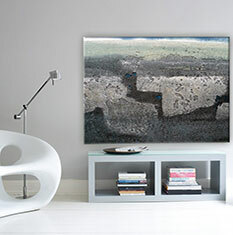 Available in a range of textures and sizes, our bespoke artwork will give your venue a premium, contemporary feel.